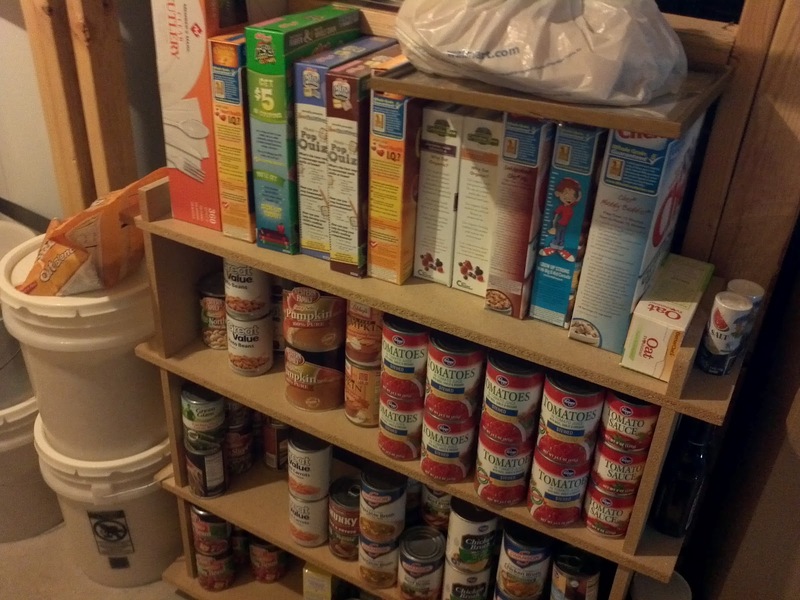 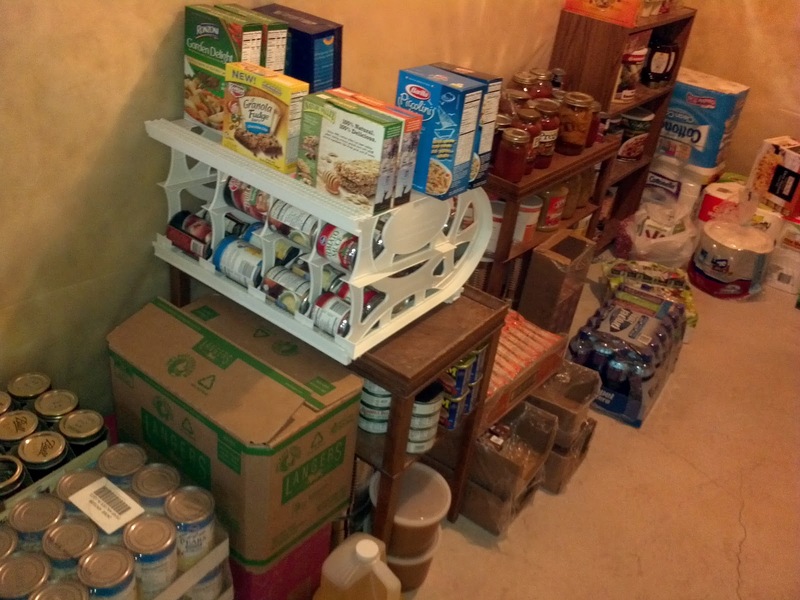 Sara has two main places where she stores her food storage, her pantry and her unfinished basement. 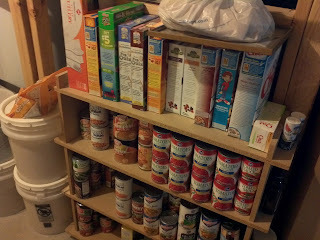 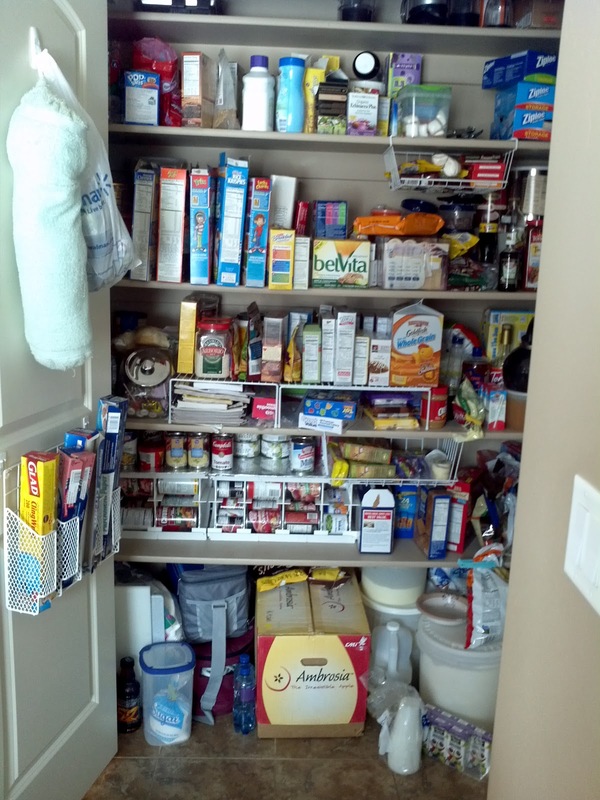 Pantry—Sara utilizes all of the space in her pantry. 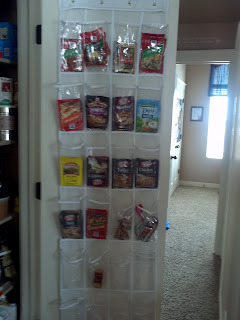 I love how she hangs things from the doors. 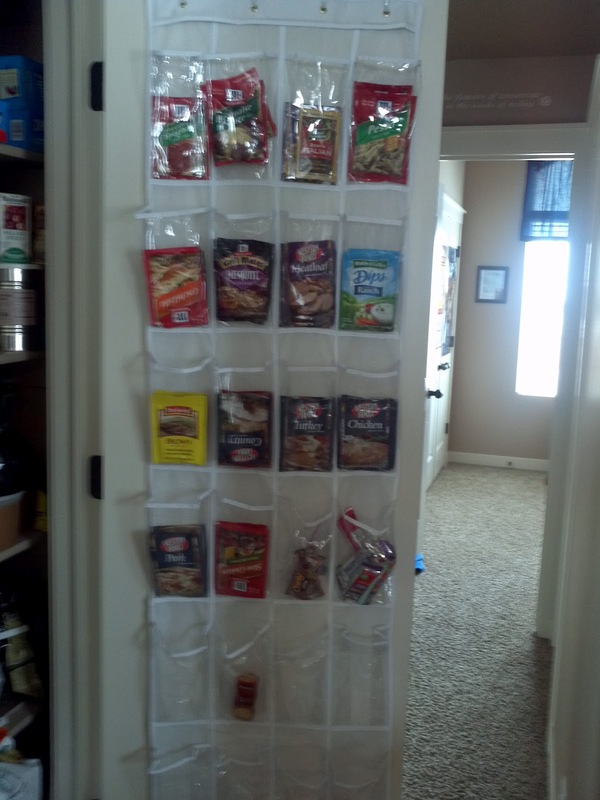 This is a great way to keep small things organized and handy. 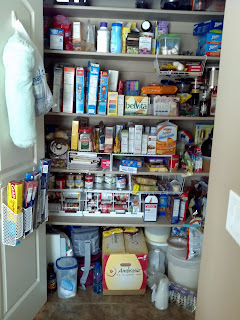 Tin foil and saran wrap are hung on one of the doors and she uses a shoe hanger to hold her mixes and other small items on the other door. Unfinished Basement--The bulk of Sara's food storage is located in her basement. 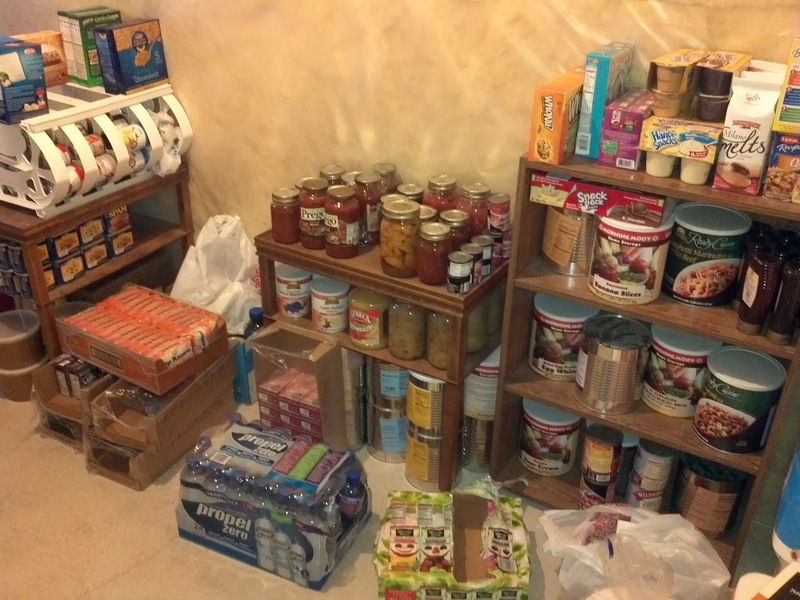 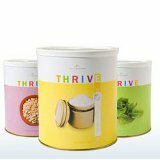 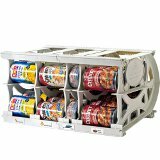 Most of her food storage is food purchased from the grocery store using coupons or during the case lot sales.